Audrey and the Bubblebath Kids are a product of my 5-year-old imagination. I vaguely remember the adventures we had together. My mom loves to tell me about the time we forgot them at the store. Luckily, they caught up and jumped in the car or we would have had to go back. I’ve always wanted to write a story about them, but wasn’t sure how to put an educational twist on their shenanigans. Then, it came to me. Just like with the mice in my Adventures in Homesteading series, I use the characters as a tool to teach about cooking. Originally posted on 9/12/14 and illustrated by my mom. If she was playing outside, she would find a mud puddle and jump and twirl through the muddy mess. It all started the day Audrey came home from school covered in chocolate. Her mother just shook her head with a small smile. She went upstairs to start a bath, Audrey trailing behind her. “I bought some new bubblebath to try,” she said to Audrey. Audrey looked at the bottle. It was a pretty purple bottle with the smiling, happy faces of little bubbly kids on the outside. It smelled like grape bubble gum. Audrey’s mom poured it in the tub and bubbles instantly bounced all over the water. Big, beautiful bubbles with all the colors of the rainbow dancing across their surface. .
Audrey smiled in wonder as she held a bubble in her hand. It was thicker than a normal bubble. Maybe it was her imagination, but Audrey could almost see something floating in the bubble. No, not floating, swimming. Audrey gasped in surprise and looked at the bottle again. The little, tiny something looked exactly like one of the bubbly kids on the bottle. Smiling face, webbed feet and hands with bright yellow crowns on their heads. There was one in every bubble, all smiling, spinning and swimming around. A smile spread over Audrey’s face. They were so cute, so tiny. Who were they? What were they doing in her bath? In a squeaky voice, one of them spoke. Three bubbles bounced over to the edge of the tub and the kids in them pointed to the bottle of soap. Audrey looked at the bottle. The smiling faces that had been there just a few moments ago, had all disappeared. “Wow,” she said in awe. The Bubblebath Kids all laughed…a tinkling, jingly, bell-like sound. The very next day, Audrey and her mom made cookies. Sugar cookies with sticky icing. 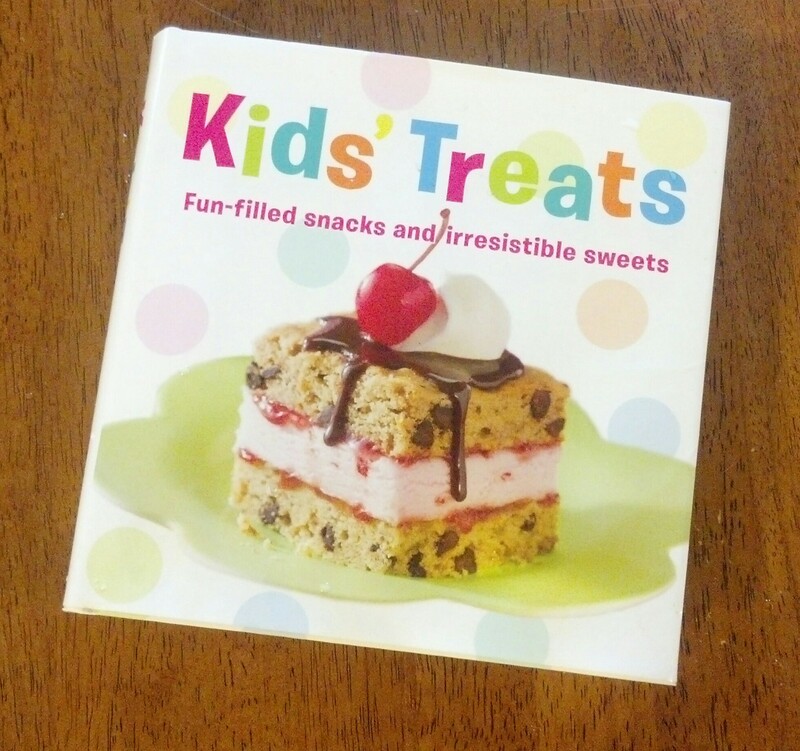 They got the recipe from a cookbook called Kids’ Treats. 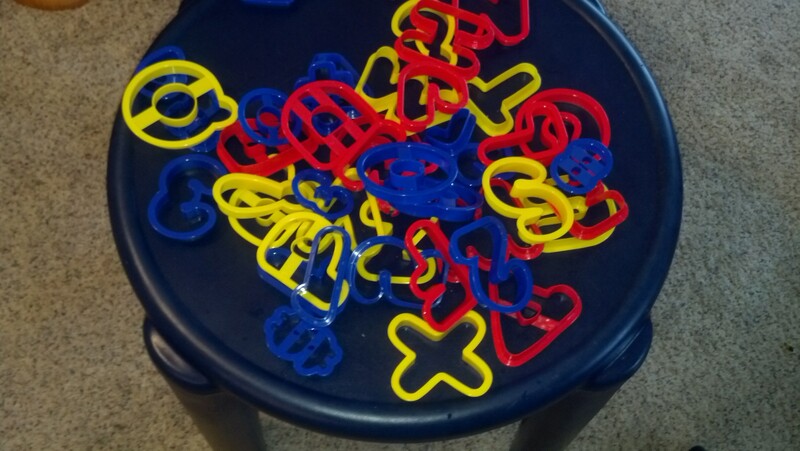 First, Audrey made a fantastic mess with the cookie cutters. Then, she got flour all over the counters and floor. When it was time to add sugar, butter and food coloring…Audrey turned into a sticky pink and blue monster. She was covered head to toe in flour, sugar and food coloring. While the cookies baked, Audrey and her mom headed up to the bathroom to clean up. 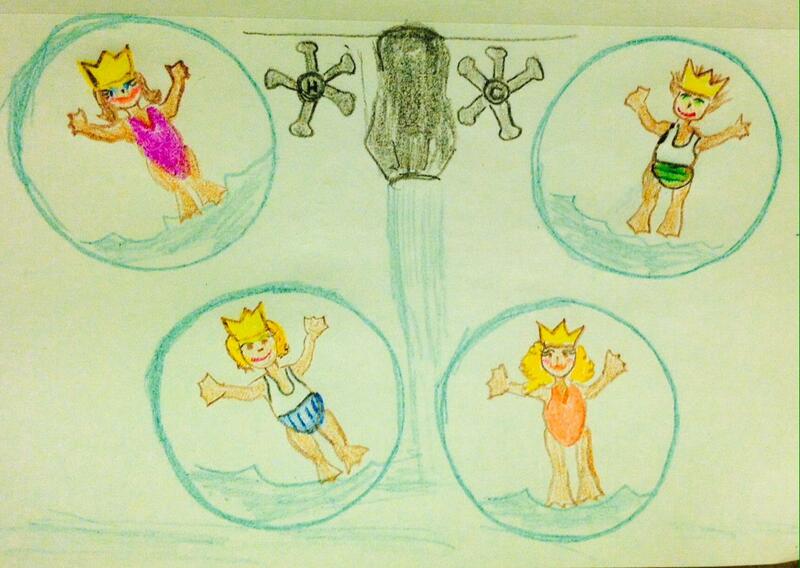 When her mom went to get a wash cloth, the Bubble Bath kids bounced to the surface with jingling laughter. The water was already turning a light shade of green as the food coloring washed off. They splashed and splished and sploshed until Audrey was squeaky clean. “What were you laughing about?” asked her mom as she handed Audrey a towel. “I was playing with my new friends,” Audrey replied. 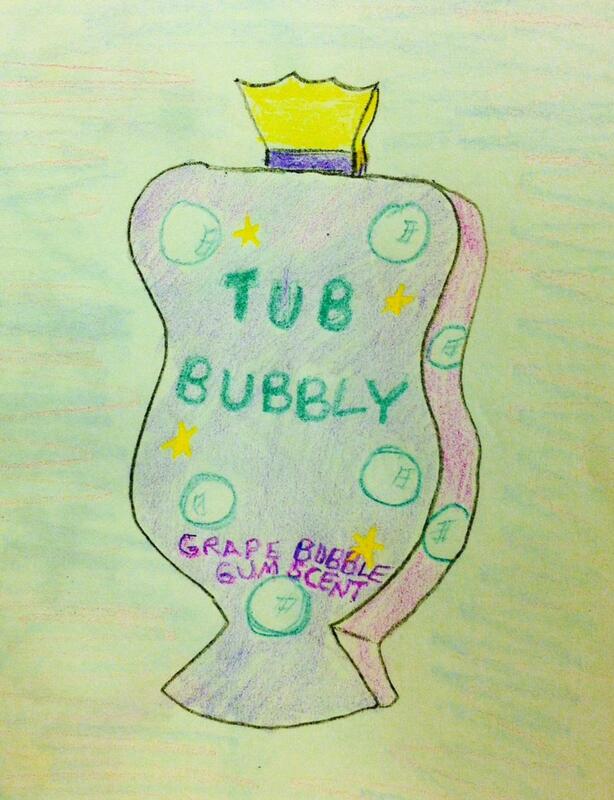 This entry was posted in Education, The Bubblebath Kids, Writing. Bookmark the permalink.